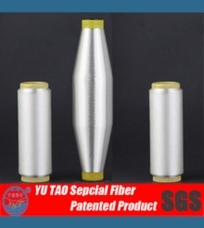 Fusible Bonding Yarn-Hu Bei Province Yu Tao Special Fiber Co., Ltd.
· Fusible Bonding Yarn is a low-melt filament yarn used for technical applications in the clothing industry worldwide. 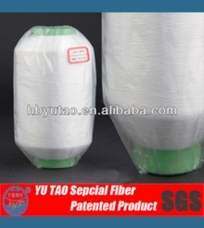 These yarns are made from either low-melt nylon or low melt polyester. 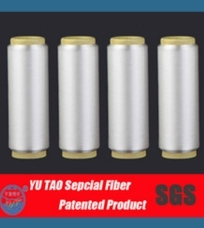 Yarns are produced to melt at a range of temperatures and in various yarn counts (Denier). · What does it do? 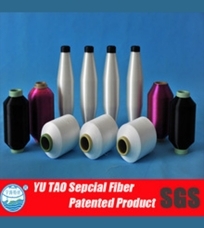 · Fusible Bonding Yarns are stitched, knitted or woven into fabric or garments. 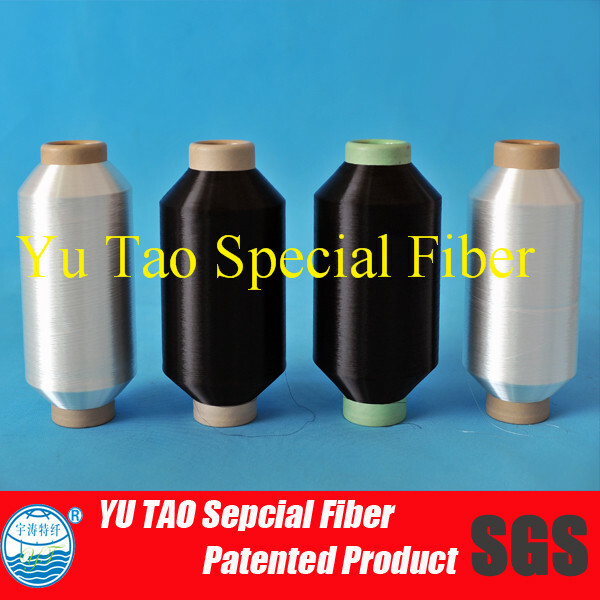 When u heat the Fusible Bonding Yarns and reach the melting point,the yarn will melt compeletly, like the glue then heat and bonding other yarn or fiber.It is possible to be very exact in the use of Fusible and pinpoint precisely where it will be most effective. 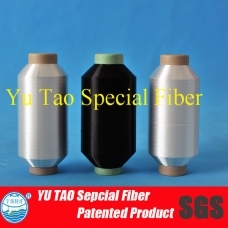 When the correct amount of heat is applied to Fusible Yarn, it produces a change in the molecular structure and melts. · Where is it used?